Hawaiian flowers are gorgeous flowers to give as gifts, keep in your home, or decorate a wedding venue with. They’re colorful, warm, and stunning and they offer a laid-back, welcoming attitude while also remaining quite elegant. We love Hawaiian flowers. We think they’re perfect choices for giving to the one you love, wearing in your hair, and using as a focal point when arranging a table for a meal. The Hawaiian people have long offered fresh Hawaiian leis as gifts of sincerity. We think giving a Hawaiian lei to a loved one, or new special acquaintance, is a beautiful idea. 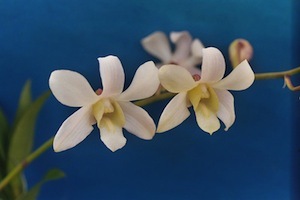 Hawaiian leis are traditionally made with orchids or other tropical flowers like song of India. They sometimes incorporate shells and kukui nut, and they always express love, prosperity, and peace. If you want to give a Hawaiian bouquet, consider placing orchids, anthuriums, ginger, heliconia, and bird of paradise in it. Fresh tropical Hawaiian bouquets are easy to make, but they can also be ordered online if you don’t have access to Hawaiian blooms near you. Hawaiian flowers are so stunning they can be given individually, by the stem without any greenery, to make a special statement. Some of the Hawaiian flowers we particularly love to give by themselves, standing alone in a vase or tied with a natural ribbon, include anthuriums, orchids, proteas, heliconia, and bird of paradise. All of these Hawaiian flowers have the ability to convey a sentiment of appreciation, loyalty, love, or whatever you’d like to express. They’re ideal for any occasion, so consider giving them the next time you buy flowers for someone. Hawaiian flowers are gorgeous flowers to give as gifts, keep in your home, or decorate a wedding venue with. 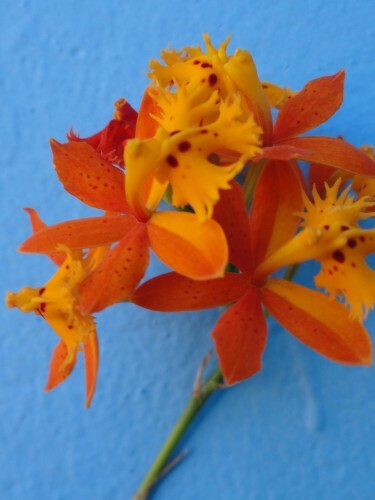 They’re colorful, warm, and stunning and they offer a laid-back, welcoming attitude while also remaining quite elegant.We love Hawaiian flowers. We think they’re perfect choices for giving to the one you love, wearing in your hair, and using as a focal point when arranging a table for a meal.